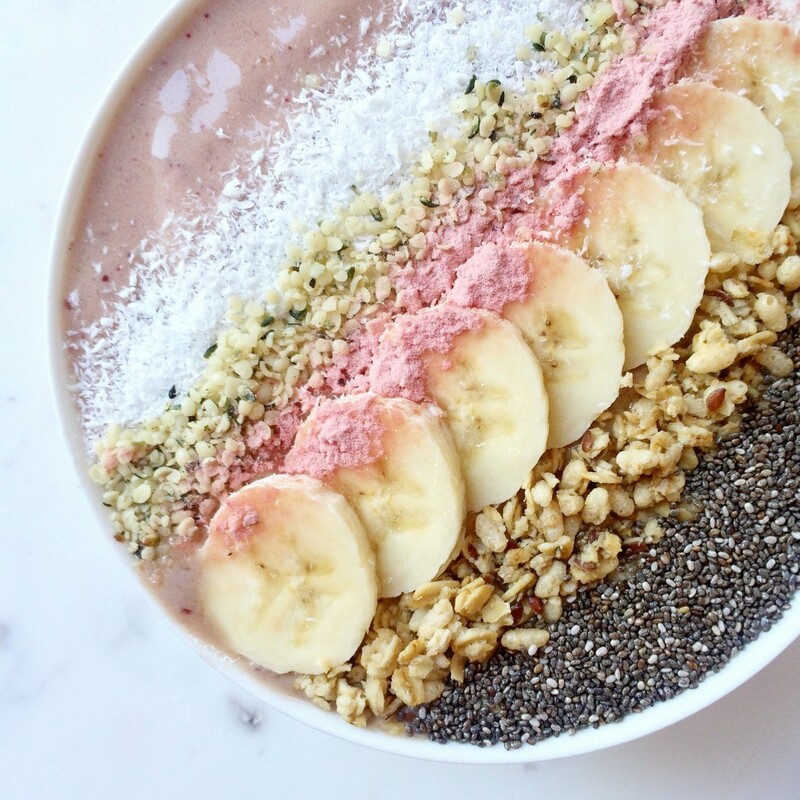 This smoothie bowl’s base is made with one of my favorite blends: bananas, cherries and strawberries. It gets an extra boost of antioxidants and vitamins from the yummy superfruit powders blended in and sprinkled on top! Follow me on Instagram (@thebirdfeednyc) to see more smoothie bowls!